A list of the diseases caused by vitamin insufficiency reads like a roll call of long forgotten maladies: scurvy, pellagra, rickets, beriberi. They may sound quaint today, but you wouldn’t want to have any of them (especially beriberi!). Luckily, beginning in the late 19th century and into the early 20th, scientists began to understand that certain illnesses resulted when the body didn’t receive enough of some nutritional substances (given the name “vitamine” by Polish biochemist Casimir Funk in 1912, the “e” was dropped later). Unluckily, Catherine Price argues in this persuasive new book, the rise in our use of vitamins to fortify foods has coincided with a reliance on less nutritious foods generally, as well as a magical belief in the power of vitamins. By the 1930s, food and drink manufacturers had learned that vitamins were a big sell — even beer got into the act, briefly, with the 1936 product Schlitz Sunshine Vitamin D Beer. Years after he mockingly dubbed himself “the Dean of American Rock Critics” (it was “the most effective self-promotion of my life,” he writes) the title has followed Robert Christgau through a career that has spanned five decades of popular music, most notably as the chief music critic for the Village Voice. As this new memoir demonstrates, his critical faculties engaged early — an essay he wrote for English class in the 1950s was titled “Why ‘Casey at the Bat’ Is a Better Poem Than ‘The Rime of the Ancient Mariner’ ” — and half a century later he’s still willing to argue the point. Lucky for readers, Christgau engages in self-examination with equal vigor and often with similarly surprising results. The book is at times delirious, dizzyingly stuffed full of names, song titles, political movements, and aesthetic notions, in particular Christgau’s restless, kaleidoscopic portrait of the late ’60s, which he winds down into a rueful simplicity: “It was a hard time to get your bearings.” If at times readers might feel bogged down in details, what’s refreshing is Christgau’s disdain for nostalgia (especially about the ’60s) and open mind for new sounds. “Ever the pop guy, I was an instant fan,” he writes of first hearing the Ramones. What makes good criticism work, Christgau argues, is “a brew of genre knowledge, general knowledge, aesthetic insight, moral passion, palpable delight, prose style, more prose style, and what-have-you.” It’s all here. But life in Pakistan was never simple. As a little girl, Zakaria writes, “I understood incompletely, but felt fully.” When her uncle decided to take a second wife, exiling her Aunt Amina to another floor of the house, the blow was somehow both personal and political, a hint at the limitations on women’s freedom that she chronicles here as a clear-eyed, compassionate witness. 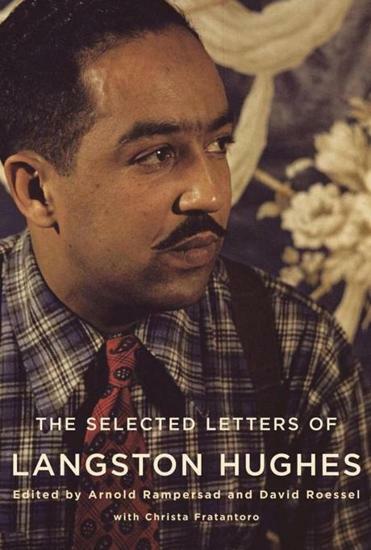 Langston Hughes is one of the most anthologized American writers, perhaps the best known of the Harlem Renaissance, and many, upon hearing his name, can conjure immediately an image of the poet’s handsome, smiling face. Arnold Rampersad, who edited this collection of Hughes’s letters, previously chronicled his life in a two-volume biography. Do we really need this new book, a selection of letters spanning more than four decades of the writer’s life?